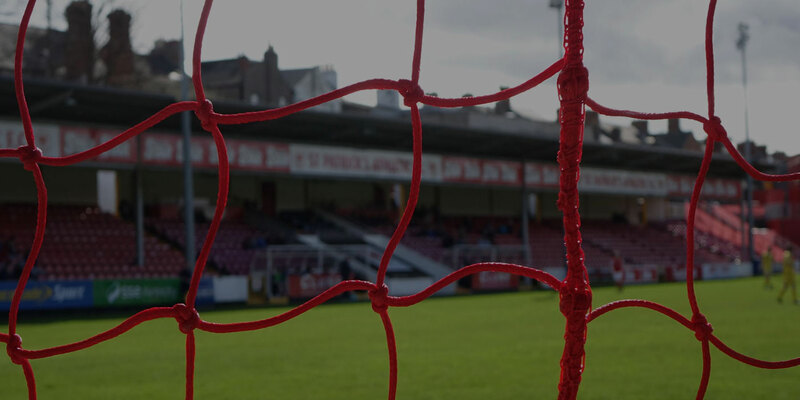 With the first team squad returning to pre-season training yesterday stpatsfc.com will keep you up to date with an inside track from Saints' goalkeeper Brendan Clarke. Today was the dreaded first day of pre-season. The 2-3 weeks of running that stares you in the face has been in the back of your mind since the final whistle of the last game of last season. We were told to be at the training ground for 10am at the latest, with training proper to start at 10.30. Most of us were there early and were met by the new management. At 10 we had a bit of a meeting in the canteen before heading down to the training ground. The first thing you see as you get to the training ground is 2 lines of cones that can only be described as a temporary runway for the nearby Weston Airport; it didnÃ¢â‚¬â„¢t look good. Once we got our boots on, we went for a 10 minute jog and then had a good stretch. You don't want to be pulling muscles on the GafferÃ¢â‚¬â„¢s first day. The next exercise was the toughest of the day, well it was for me anyway. It was a 20 minute run with intervals of increasing pace. The Gaffer took the pace and Paul hung around at the back to stop anyone dropping behind. My god they are fit. When the run had finished we got a drink and another stretch before putting the trainers on and heading into the astro pitch. In there we were met with some circuit training. Eleven stations which included - core exercies, weights, skipping, push-ups, sit-ups, lunges, squats and other stomach excercises. We went around the circuit twice with the time on the second circuit being reduced. After a quick drink and another stretch it was back on with the boots and over to the footballs. We did a bit of technique work which will help get our eye in and get our first touch back which is understandably a little rusty. Now, onto the temporary runway. There were 5 cones with the first being the start/finish line. After being split into groups, the first group would run to the first cone and back then the next group would do the same run. Then to the second cone and back and so on. There were 7 runs in total working up through the distances and back down through them. After that it was a slow jog and stretch to cool down before heading up for a shower and a bite to eat. All in all it was a good days work and a good way to get back into the swing of things and whilst it is tough at first, we as players know what need to be done and we'll be giving it 100% to bring some silverware back to Richmond this year.